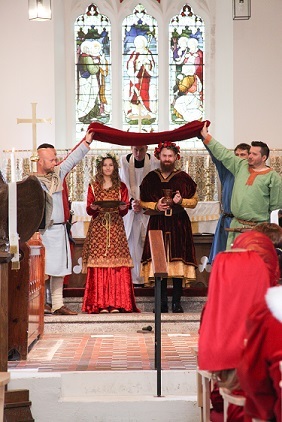 An organisation dedicated to raising funds for the continued preservation of Llangwm’s medieval church. 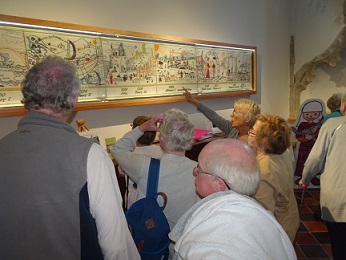 The Friends organise concerts, special presentations, medieval events and re-enactments, and run a Film Club to provide quality entertainment alongside the fundraising. We are always looking for volunteers to join us. The re-enactment of the "Adam de la Roche legend", bringing his shrouded body from Roch Castle to Llangwm, arriving at 4:30 pm. 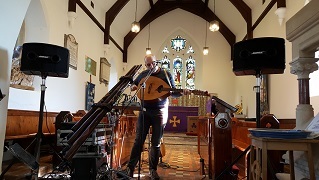 Concert with the award-winning classical guitarist, playing his adaptations of medieval Welsh harp music originally composed by Robert ap Huw.